Alafia Termite And Pest Control Services, Inc. Comment: Our front yard and back yard. Comment: I seem to have a rat/mice in my kitchen at night looking for food. I have a crawl space house. Not sure where they are coming in. Need to know procedure and prices. Comment: We arrived here for the month an have found one spot in the bathroom that I was unsure of, our Tech From RR Webb informed us that it is termites. So looking to see if we can treat the one area. Saint Petersburg Pest Control Services are rated 4.70 out of 5 based on 1,749 reviews of 32 pros. 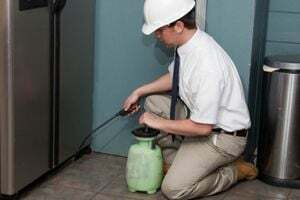 Not Looking for Pest Control Contractors in Saint Petersburg, FL?